A much appreciated blend of Assam and Ceylon black teas. Biodegradable pyramid-shaped sachet allow the leaves to unfurl for the best infusion. 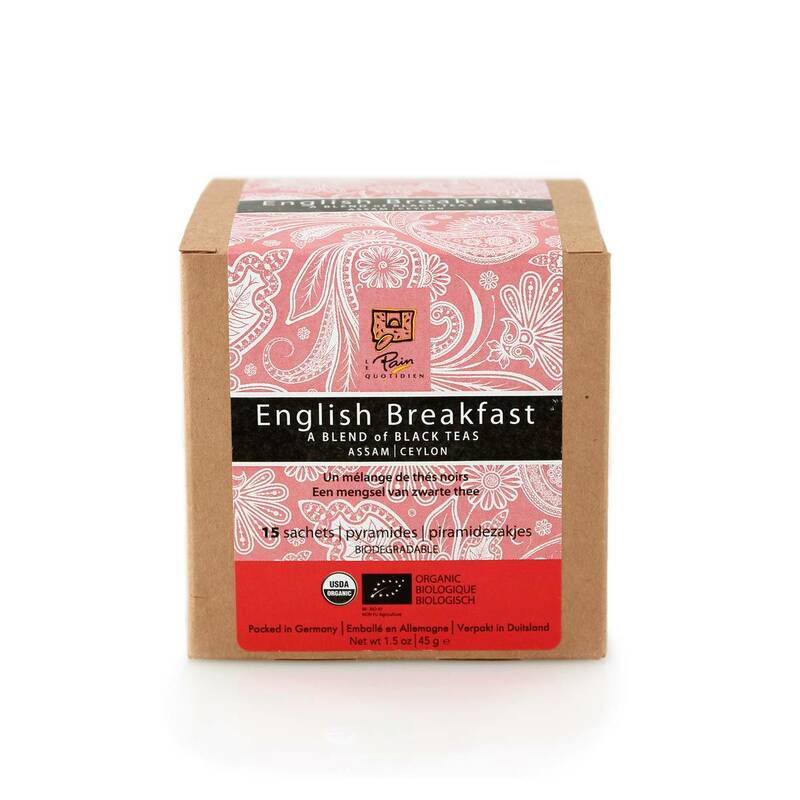 English Breakfast Tea is a blend of 90% Assam and 10% Ceylon black teas. Assam is grown at sea level under hot, humid conditions, which account for its malty character. This classic blend is described as “brisk.” The Ceylon tea contributes a full-bodied quality to the blend. English Breakfast tea is rich enough to stand up to milk and sugar.